This trailer for The Lord of the Rings: War in the North is, as they say, "doing it right." This is an accompaniment to the Power of Three trailer we brought you earlier this week. The developers discuss some of the benefits of co-op, including some of the character abilities as well as a challenge mode. Looks like Snowblind built some extra replay-ability into their latest action RPG. 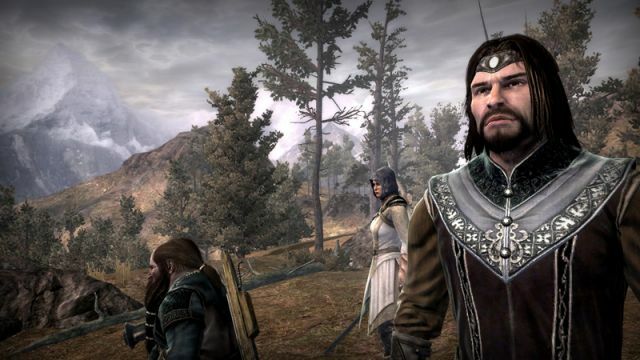 The Lord of the Rings: War in the North will be out on November 1, 2011 on the Xbox 360, PlayStation 3, and PC. It supports two player local co-op, three player online co-op, and combo co-op. This is another title begging for the Co-Optimus Co-Op FAQ treatment. We'll keep you posted. Page created in 0.2339 seconds.